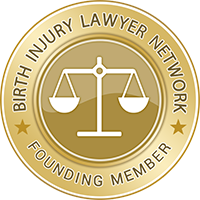 The Birth Injury Lawyer Network is an affiliation of lawyers and attorneys throughout the United States who advocate for families who have suffered as a result of third-party negligence during labor and/or childbirth. We seek to bring justice to families who have experienced pain and suffering as a result of the unnecessary injury or death of a loved one. Most lawyers are not familiar with this highly-specialized form of medical malpractice so impacted families don't know where to turn for help. We solve this problem by assembling legal experts with the knowledge and experience required to handle the most difficult birth injury matters. Don’t take chances by dealing with an attorney who may not have the expertise you need to achieve the compensation you deserve. Contact an experienced professional from the Birth Injury Lawyer Network to get the answers you need.